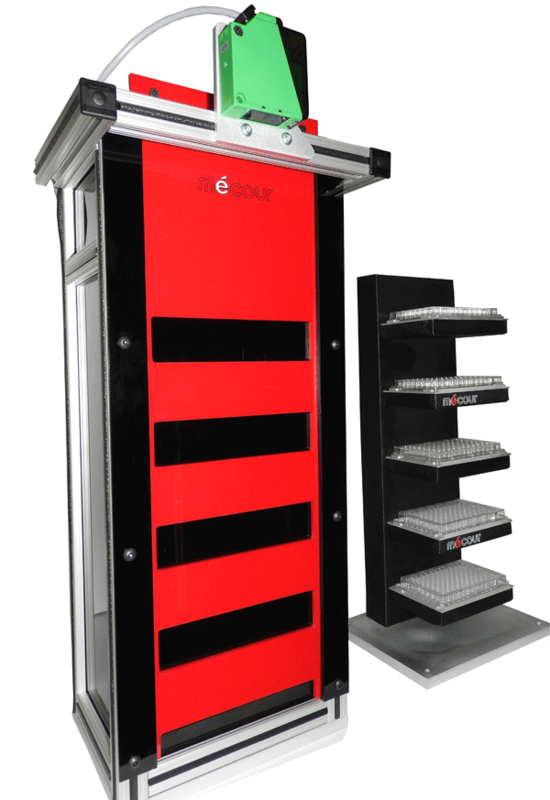 New incubation style thermal towers with automated retractable front cover that provides full access to plates for gripper. 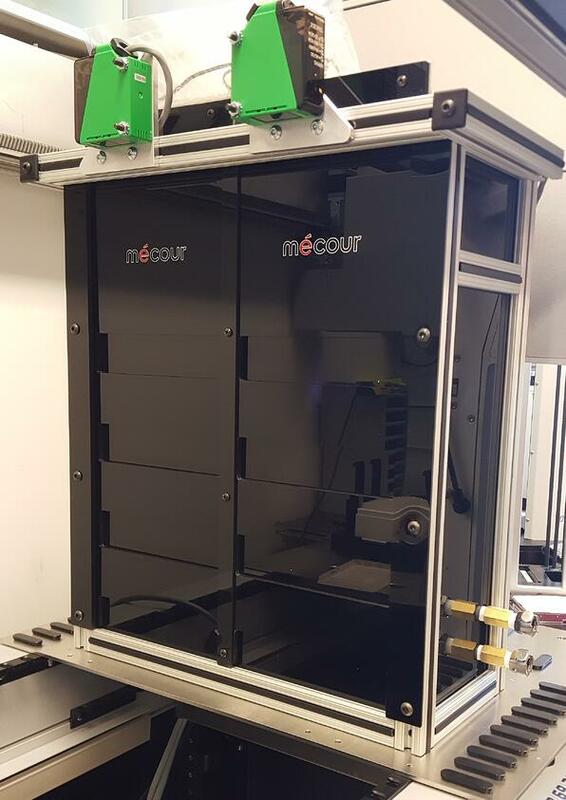 MéCour dry air thermal system provides a condensation-free interior environment that eliminates unwanted condensation from an operating temperature range from ambient to -90°C. (see MDAS -90C system here). Interior of the 2x4 thermal tower that details eight-plate capacity with a 2.5” spacing between thermal shelves for gripper access to plates for loading and unloading. 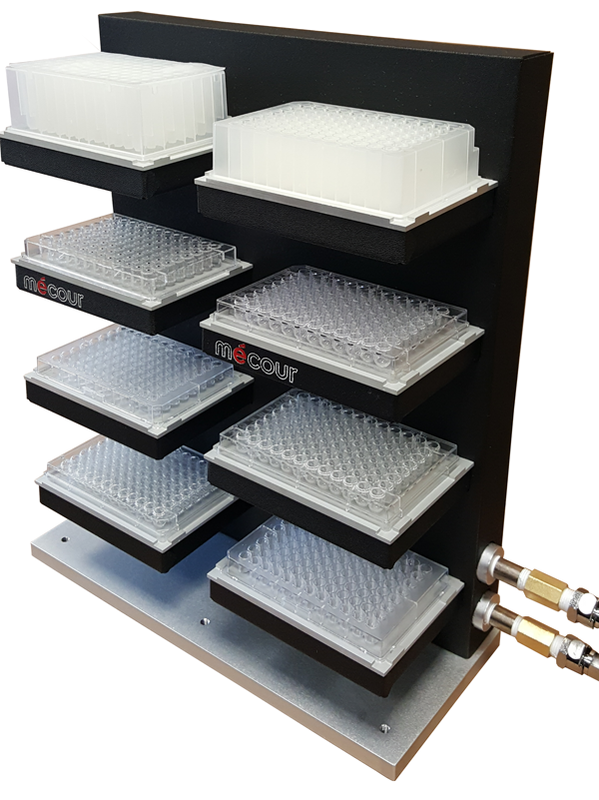 All MéCour thermal towers are designed to integrate with liquid handlers or automated platforms to accommodate any plate consumable and maintain controlled sample temperature and environment. Multiple plate capacities are available and designed to fit deck space and work flow requirements. Dry air filter components are mounted to side of tower or in alternative places per customer request. Interior view of TW-5 RTC Thermal Tower with five-plate capacity. Contact MéCour to discuss specific application requirements and integration opportunities. 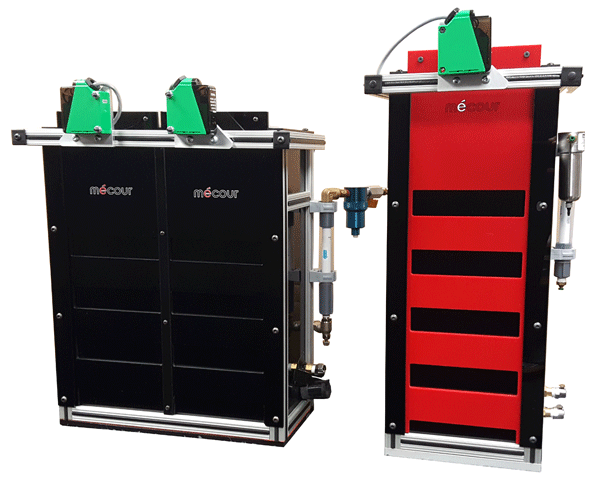 MéCour’s new dry air condensation-free systems can utilize facility air source, or MéCour will provide the dry air compressor system that supports the ambient to -90°C thermal system.